So the world has been atwitter over the fiasco of the Rototem Festival in Valencia canceling Jewish American artist Matisyahu’s performance–and then subsequently reversing their decision after facing pressure from the media and the Spanish government. 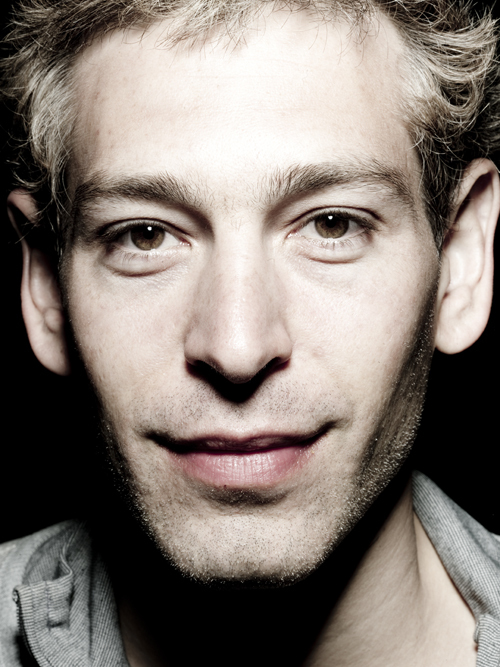 For those (like Josep) who have never heard of Matisyahu, allow me to introduce you. 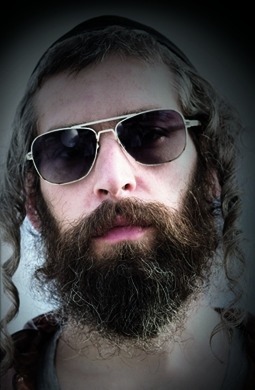 Matisyahu, born Matthew Miller, became famous as the only international superstar who had a traditional ultra-Orthodox Jewish appearance: the suit, the beard, the sidecurls, everything. Mizraji and Group Force Capital. Licensed under CC BY-SA 3.0 via Wikimedia Commons. He is extremely talented and did an enormous amount to improve the image of traditional Jews. In recent years he left the Orthodox community and shaved off his beard and sidecurls, but he is still strongly connected to Judaism. “MatisyahuPressShotOfficial” by Jkupry1 – Own work. Licensed under CC BY-SA 3.0 via Commons. The cancellation of his performance is is a classic example of “anti-Israelism” or “anti-Zionism” crossing the line to antisemitism. Remember The Great Post of Jewish Conspiracies? This one has “Jews are traitors” written all over it. Forcing Matisyahu to declare his political loyalties is like making a European Muslim performer sign a document condemning Osama Bin Laden. It’s bigotry, pure and simple. When I first asked Josep if he had heard of this and whether there has been any backlash on the Spanish media about it, he said there had been a little, but that it was a small festival (which is not, to say the least, to his taste 😛 ) and as we both know, this sort of thing is normal. He said that a more emphatic reaction about this would be “too incredible.” So we were both pleasantly surprised when the government issued its condemnation and the organizers re-invited Matisyahu. Now, like Josep, I don’t care much for reggae, nor do I think BDS Pais Valencia is representative of the people of Valencia, nor do I think the festival organizers had malicious intent–they probably acted out of ignorance. But often, it is precisely the ignorance that is the problem. The line between anti-Zionism and antisemitism is often very blurry in Europe, and all too often it is crossed without anyone blinking an eye. You see… there is a part of the story of my trip that I kind of downplayed in my first post about how Josep and I met. It was long enough as it was, and I wanted to focus on the beginning of our friendship, and felt the other details would distract from the main point. But when discussing it with Josep recently, I realized that that part of the story takes up a much bigger part of his experience of getting to know me. I didn’t mention in the original story that the conference was organized by the United Nations Association of Spain. You’d think that an organization associated with the UN, organizing a conference for youth from all over the world, would be a little more sensitive to the cultural and/or religious needs of its guests. But I really don’t think it was antisemitism. Ignorance, stubbornness, narrow-mindedness, and arrogance, maybe. But not antisemitism. I took this picture in the ancient Jewish quarter of Barcelona when I was poking around to prepare a story I was writing for the conference paper on it. It’s a Hebrew inscription on the wall that dates back to 1391, when pogroms throughout Spain forced the surviving Jews of Barcelona to leave. A carving of great historical and cultural significance for Jews, which obviously has nothing at all to do with Israel or Zionism. The graffiti had been painted over, and I hadn’t even noticed it when I raised my camera to take a picture of it; it was revealed in the flash. The top word is not as visible, but it’s pretty clear that it reads “Jews, Free Palestine” in Catalan. 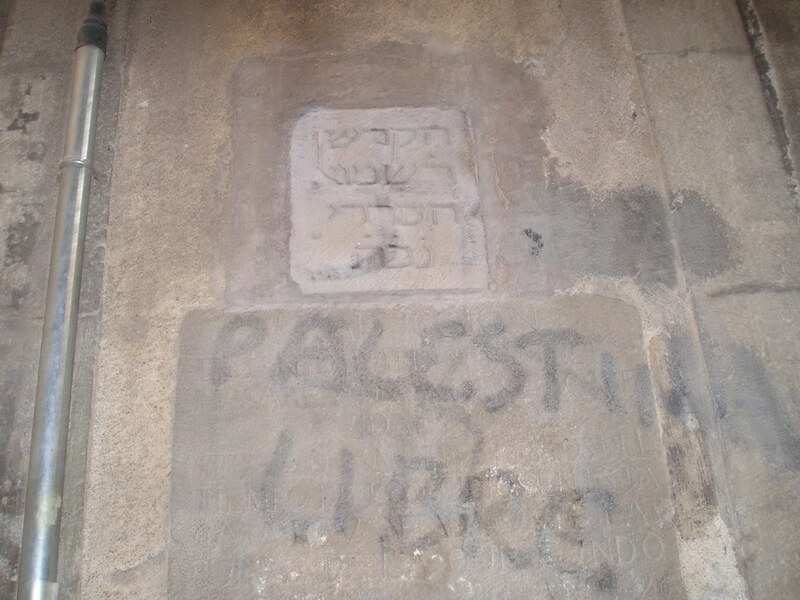 Let me spell this out: defacing a priceless historical testament to the medieval Jewish community of Barcelona is not political activism. It is antisemitism. Which is why the response of the Spanish government and the subsequent reaction of the festival gives me hope. So in honor of that, I would like to share my favorite song of Matisyahu’s. It’s called “One Day,” and it’s a song of yearning, questioning, and hope for a better future.